Fencing happens to be one of the undermined sports activities even today. Yet, it wouldn’t be an exaggeration to say that fencing can be quite addictive. There are numerous fencing competitions, tournaments and championships organised throughout the world. After the completion of such a championship, the participants are usually awarded the certificates for their efforts. 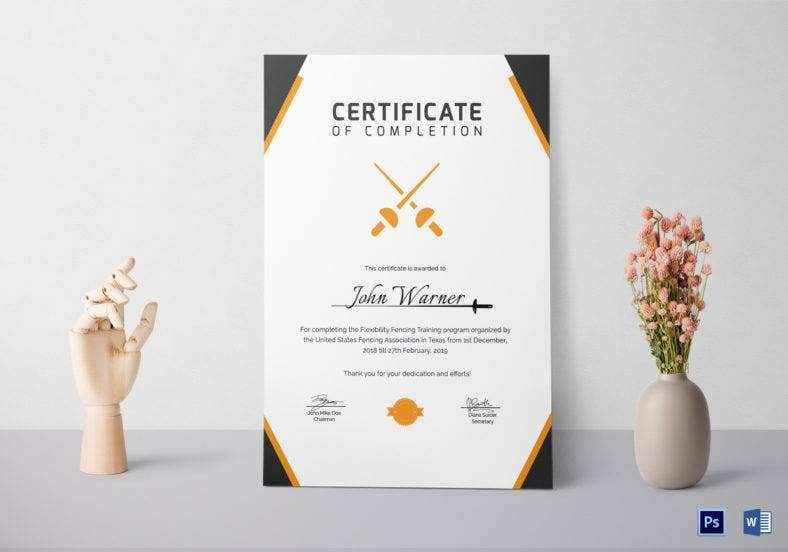 If you too are looking for similar certificates, you should take a look at some of these amazing fencing themed certificates below. 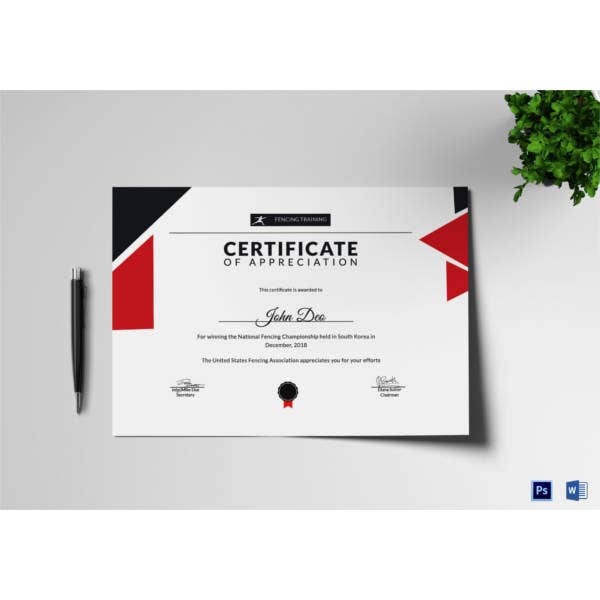 The certificate template that you see here is fully editable and customisable. It comes in a well defined and an organised format which makes it easier to understand. Also, the template comes in a standard size. 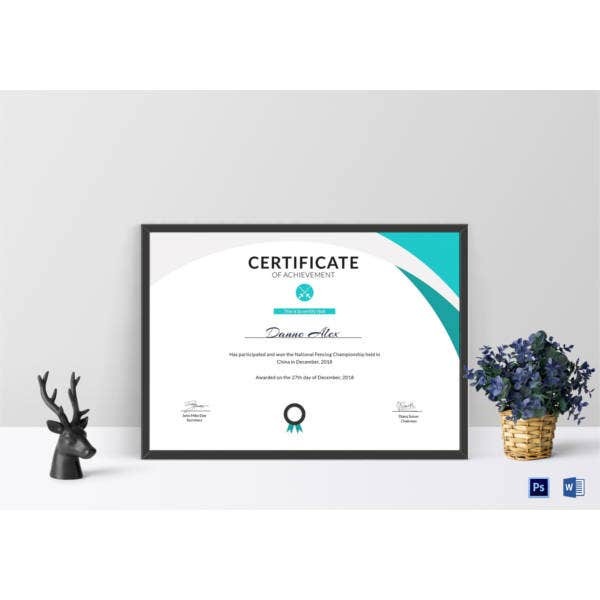 The first thing that you notice about this certificate template is the neat and unique border. The use of the attractive colour schemes makes the template look well designed and organised. The certificate of fencing that you see here is well designed and simplistic in nature. It is devoid of excessive design and keeps the overall layout rather minimalist. Also, it comes in easy to use formats. 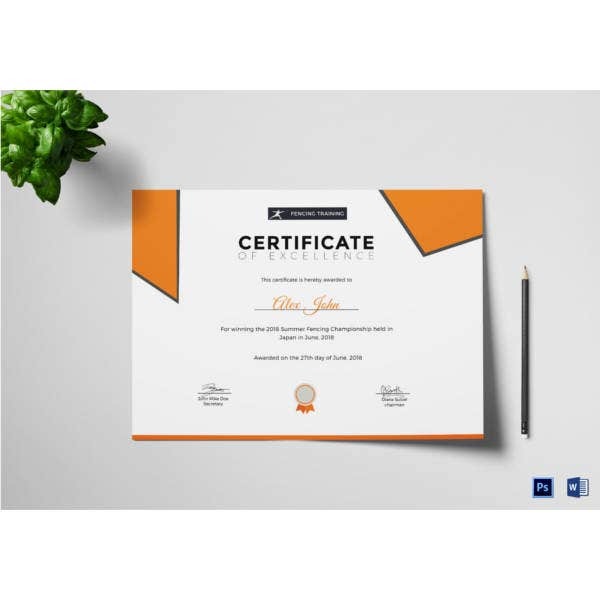 In this case, you do not only get the opportunity to add the name and purpose of the certificate, you also get to add a brief description at the bottom. That makes the certificate appear all the more detailed. This template comes with easy customisation of text and colour, a fairly high resolution of 300 dpi, a CMYK colour mode, Word and PSD compatibility and a standard size with bleed allowance. 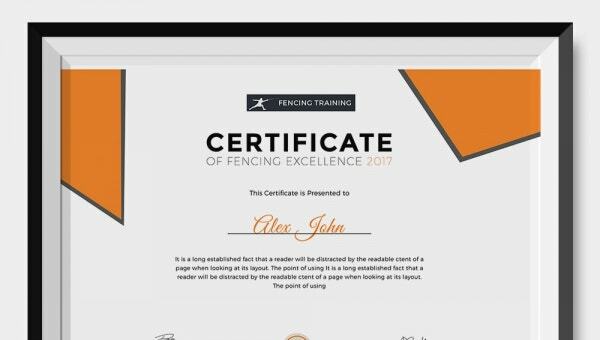 Why are Fencing Certificates Awarded? If you have ever witnessed a fencing match, you would know that it require a tremendous amount of patience, dedication and concentration. The sport is actually twice as hard as it looks. That makes any fencing match quite thrilling and exciting to watch. Usually the people participating in the tournament have had sufficient training and have the right set of skills. They have to be certified fencers to take part in the sport. If they manage to win the championship, it is only right that their effort is recognized and appreciated through the means of a fantastic fencing certificate. You can also see Sports Certificate Template. What makes the Fencing Certificates so Special? 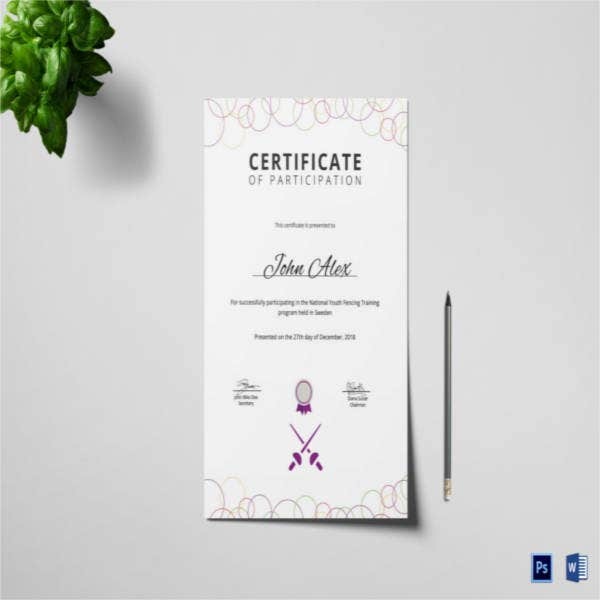 The certificates come in either Word format or a PSD format. Both these formats are easy to use and edit. The templates are 100% editable and customisable. You are free to experiment with them as you please. By now you should have a clear idea of why you should download the fencing certificates today and why they are used. If you have a fencing event coming up, you cannot afford to miss out on the templates that have been designed specially for the occasion.